Former NFL quarterback, Colin Kaepernick, has a new advertising campaign with Nike, even without having played professional football since 2016. Unbeknownst to most people, Kaepernick still has an existing sponsorship deal with Nike that was set to expire, but it was renegotiated into a multi-year deal to make him one of the faces of Nike's 30th anniversary "Just Do It" campaign, according to a person familiar with the contract. The person spoke to The Associated Press on condition of anonymity because Nike hasn't officially announced the contract. Kaepernick's attorney, Mark Geragos, made the announcement on Twitter, calling the former San Francisco 49ers quarterback an "All American Icon" and crediting attorney Ben Meiselas for getting the deal done. 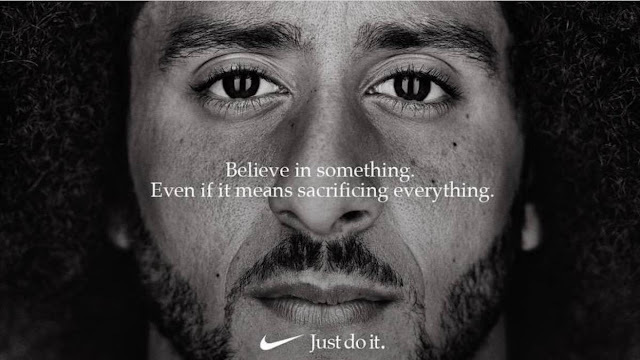 Kaepernick also posted a Nike ad featuring his face and wrote: "Believe in something, even if it means sacrificing everything. According to ESPN, Nike has kept paying Kaepernick — who signed with the brand in 2011 — despite not using him in ads over the past two years. The company said it planned to bring him back at the right time. "We believe Colin is one of the most inspirational athletes of this generation, who has leveraged the power of sport to help move the world forward," Nike V.P. of brand in North America Gino Fisanotti told ESPN. Penn State, a top-ranked school for academics and research, is breaking the mold of University advertising one step at a time. In a new spot that debuted last weekend during the football team’s season-opener, Penn State illustrates how the students, faculty, community, staff and alumni collaborate to think, dream and push ideas out into the world together. The spot, created by Decoded Advertising, peels back the lens behind the process, following an idea as it progresses from its humble beginnings in a notebook to the community, the world and beyond. Where many universities highlight mascots and campus buildings, this anthem film defies stereotypes and tropes to create something real, elevating real students and faculty in their element. Rooted in this work is the shared belief in the importance of positive ideas, which helps re-instill a sense of pride in the University. This campaign wll be running on national TV and digitally. Decoded has worked with Penn State since 2016, producing work that has been shortlisted at the One Show. As Cannes Lions release their 2018 Global Creativity Report, Serviceplan Group celebrates 2 placements in the top 5 Innovation Agency of Year ranking, and become first German agency to win 2 Innovation Lions. The Global Creativity Report covers insights and trends from the Cannes Lions festival. Featuring Top Five performance rankings for 2018 and analysis of award-winning and shortlisted work form the Festival, it acts as a definitive resource for creative benchmarking. So it is a great achievement for Serviceplan Group to feature in the Top 5 Innovation Agency of the Year, as well as the Design Lions and Innovation Lions Top 5 rankings. Serviceplan Germany has thenumber 4 position in the Innovation Agency of the Year ranking, closely followed by Serviceplan Korea at number 5. And in Design Lions Serviceplan Germany take 3rdplace. Serviceplan Group are the first German agency to win 2 Innovation Lions (one in 2016 and one this year) and be ranked in Innovation Agency of the Year. 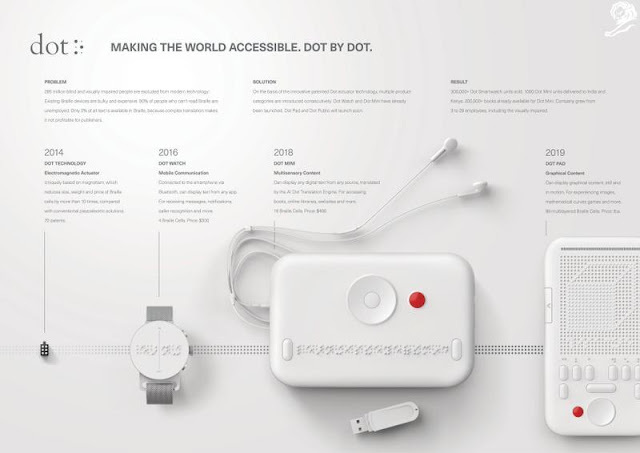 Serviceplan Korea is the first South Korean Agency ever to make the Innovation Agency of the Year Top 5. Launched in 2014, Black Opium is today ranked 8th in Top World Fragrances. Four years after its launch and to support this success, Yves Saint Laurent Beauty wanted to renew the brand’s communication. To embody this new chapter, a new muse was chosen: Zoë Kravitz. The YSL Beauty Make up ambassadress and American actress was chosen for her charisma and her elegance. An obvious choice for the brand that deeper anchors Black Opium in its time. To bring this new campaign to life, and in the continuity of the previous ones, BETC Luxe, General Pop and Yves Saint Laurent Beauty looked for young talents: Jonas Lindstroem - German director represented by Iconoclast – and Tyron Lebon who shot our muse and her iconic fragrance on city rooftops. Finally, the famous hit “The Hills” by The Weeknd was chosen to set music to those images. The global communications plan rolls out as of August 18th 2018 in TV, press, print, in store and on social media. The 30” TVC opens on a mystical place of wonder located on a floating island paradise, as a circle of devoted followers are met by a red-dressed heroine holding an ancient, over-sized bottle of Yakult. The numerous magical rituals that are purported to create Yakult are described by a first voiceover; from an ‘ancient shuffle’ to a ‘mystical hand swirl’, they supposedly all help to awaken the spirits of the beautiful gut. The actions stir up a magical whirlwind which, before reaching full momentum, is frozen by a second straight-talking voiceover which imparts that Yakult isn’t the result of a magical ritual but is actually developed by Japanese scientists. The revelation pulls the rug on the mystical tale and the whirlwind disappears. A hand illustrated end frame animates on screen to show the iconic Yakult bottle and the super ‘A Little Bottle of Science (not Magic)’; the traditional painted style linking to the wider print, social and digital creative, also launching in September. 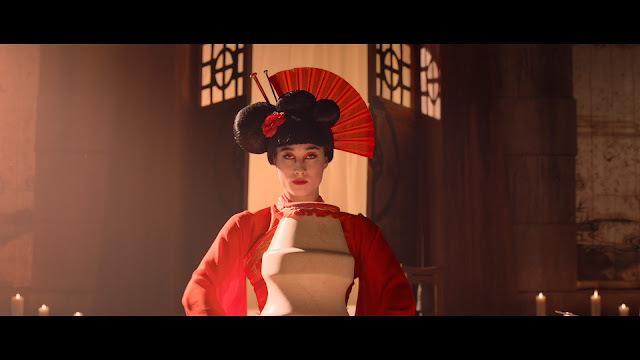 The 360° campaign, supported by TV, Print, Social, Outdoor and Radio, was created by Quiet Storm and continues to dispel myths surrounding Yakult’s creation, reinforcing in the narrative that Yakult is ‘A Little Bottle of Science (not magic)’. As consumers are becoming increasingly educated about the products they are loyal to and include in their daily routines, the need to communicate Yakult’s unique live bacteria and the amazing amount of science behind the little bottle has been of central importance to inform purchase decisions. In a competitive category, Yakult enjoyed an overall sales increase in 2017; with the previous Science Not Magic campaign helping to grow brand awareness and reach, through a broader range of channels, which helped to drive new customers to the brand. Reshma Patel, Marketing Manager at Yakult UK, said: “Our strategy is to raise awareness of Yakult’s science positioning, heritage and product qualities which are unique to the brand. We aim to encourage new consumers to join loyal Yakult drinkers and continue to grow the business by strengthening our distinctive brand personality within the category. The campaign created by Quiet Storm not only delivers on message, but does this in an engaging and entertaining way which will help encourage consumers to find out more about the product and reaffirm that Yakult is about science, not magic”. The campaign will run across TV, online, print, digital and radio across the UK and Ireland from September 3rd. Yakult was founded by the Japanese scientist Dr Shirota, who in the 1930s selected and cultivated Lactobacillus casei Shirota, a unique strain of bacteria that is scientifically proven to reach the gut alive. Every bottle of Yakult contains at least 6.5 billion Lactobacillus casei Shirota. Every day, more than 39 million Yakult products are consumed in 38 countries and regions around the world. There are two products available in the UK and Ireland, Yakult and Yakult Light - the reduced sugar and lower calorie option. Both products are gluten free, fat free and suitable for vegetarians. For more information, follow Yakult on Facebook @yakultUKIE or visit www.yakult.co.uk.